In the past 20 years the city of Portsmouth, NH has changed quite a bit. It's become more commercial, evidenced by the Gap (which not surprisingly went under) and Starbucks. The downtown has been completely renovated while still maintaining a sense of charming old New England. Tourists and residents alike have benefited from the results. (Exeter REALLY needs to do the same) More people have moved into the area as well so it's a much busier city than it used to be too. My daughter loves to eat at the Friendly Toast with friends, while my personal favorite cafe is still Popovers. Portsmouth is a wonderful city to stroll through on a warm summers evening as it's not to large and fairly easy to get around. Many unique shops and art galleries have moved in, not to mention restaurants and places to get an ice cream. 20 years ago I was fairly hip to where to grab a bite to eat or go for dinner ... why the Rusty Hammer of course. Now, I don't even have a clue. While there may be a lot that has changed in the city, one thing that hasn't really changed much in the past 20 years is Prescott Park. Oh how I adore Prescott Park. If you've ever been there during the height of the summer, when the gardens are in full bloom, then you know exactly what I'm talking about. With all the rain we've received in the northeast, what little Spring we've had has been on the late side. Many tree's came into bloom only to have their delicate petals washed away before they could truly be savored. Luckily I managed to capture some blooms under overcast skies in between the rain drops. This Thursday I, along with a handful of other New England bloggers, have been fortunate enough to have been invited to a day long Bloggers Retreat in Rhode Island and Massachusetts! Tomorrow afternoon I'll be driving down to Rhode Island to stay overnight at a lovely farm. Seeing as how it's a 2-1/2 hour drive, there's just no way I'd want to chance driving through Boston traffic Thursday morning and risk not getting there by the 9:00 am meet-up time. When I come back you can be sure there will be plenty to tell you about! Till then, here's hoping there's a little sunshine in your world. We're STILL hoping for some here in New England! I can totally understand why you love this park. Wishing you much fun on your Retreat! Sounds wonderful! I was in Portsmouth a few weekends ago while driving from Maine to CT and was amazed at the transformation! The city is beautiful and so interesting. 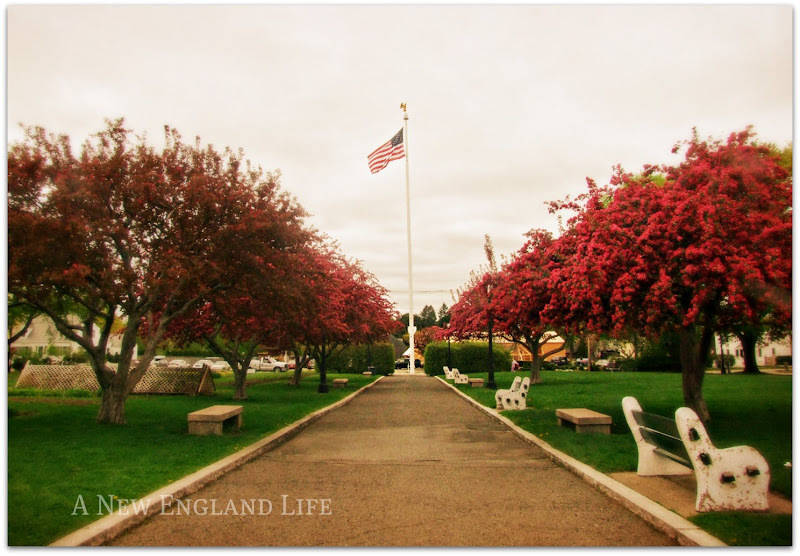 I love Prescott Park and I can't wait to go there soon. I love Portsmouth and growing up we always went to the Rusty Hammer, great burgers! Beautiful captures. What a pretty place to sit and relax. Enjoy the retreat. I think my heart skipped a beat. Simply beautiful. Thank you for sharing. A blogger's retreat-what a marvelous idea! I am excited to hear how it goes. 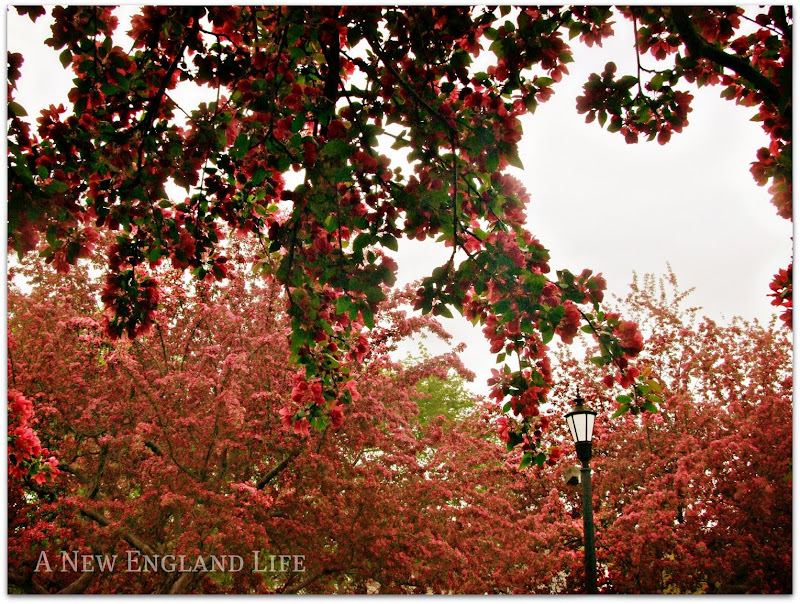 We had a picnic lunch in Prescott Park while on our honeymoon last year! We bought (delicious - the best ever!) lobster rolls, salad and iced tea from a shop on the outskirts of Portsmouth and relaxed there for a while before riding along the coast to (a very closed up) Old Orchard Beach. The trees are just lovely, and the photographs are beautifully done. Thank you for this touch of pink today. Exquisite blooms. How fun to hook up with others and share! Have a great time! Hope you have a great time with your bloggers! I love Portsmouth and Newburyport. Exeter really could stand to get a little bit more interesting. I love the second and fourth shots of Portsmouth. 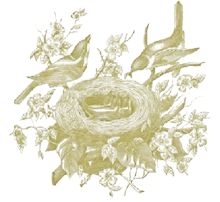 And, have you been to the Golden Egg for breakfast? It's on the way out to Newcastle and not in downtown Portsmouth but it's really good. Be prepared for a wait on the weekends. The trees are gorgeous. Have fun at the blogger retreat. I'm going to have to check out that park! I love Portsmouth, and like you 20 years ago I knew where to go . . . today - clueless! Have a great time at you N.E. Bloggers weekend! So beautiful where you live. We had one day of sunny warm weather here on the weekend. I'm beginning to wonder if we're ever going to enjoy summer weather. Our season is short enough as it is without this late start. So envious of your retreat!! You'll have a blast. Can't wait to see the photos and hear all about it. What a beautiful park. Are those crap apple trees? Beautiful blooms on those trees, are they quince? Hope you have a great time at the bloggers retreat! 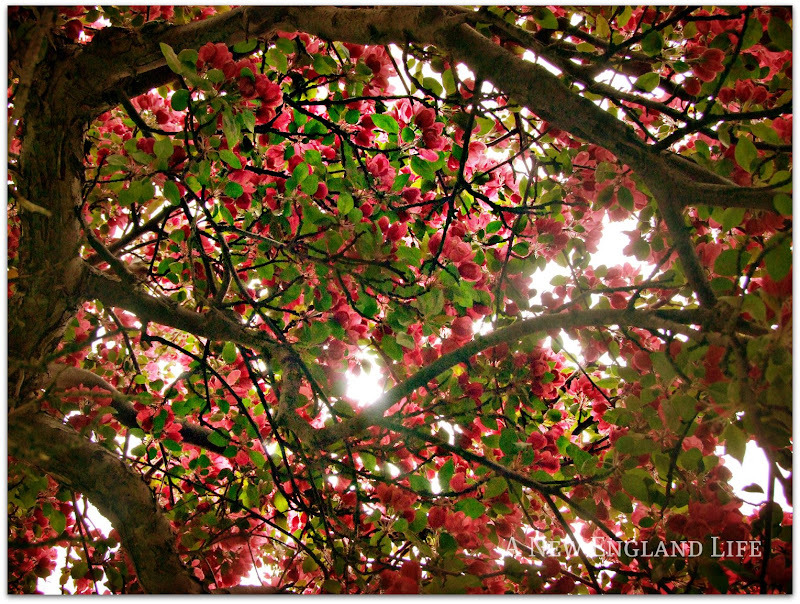 I really love that last picture of the sunlight shining down through the colorful blossoms of the tree. Peter and I spent our anniversary in Portsmouth a few years ago. We loved it! I'm hoping for some SUNSHINE here in the Pacific NW also where it is unseasonably wet and cool! 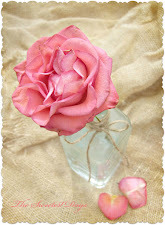 Loved the pics on your post as always. I've been away on a 5 week trip to visit children/grandchildren in the Midwest and South and I'm catching up on back posts! p.s. be sure to visit my blog at www.mysouthernheart.com to enter my Memorial Day giveaway! Portsmouth is beautiful and your photos are amazing. The color on the flowering trees is a show stopper. OMG these are just stunning. Just stunning. 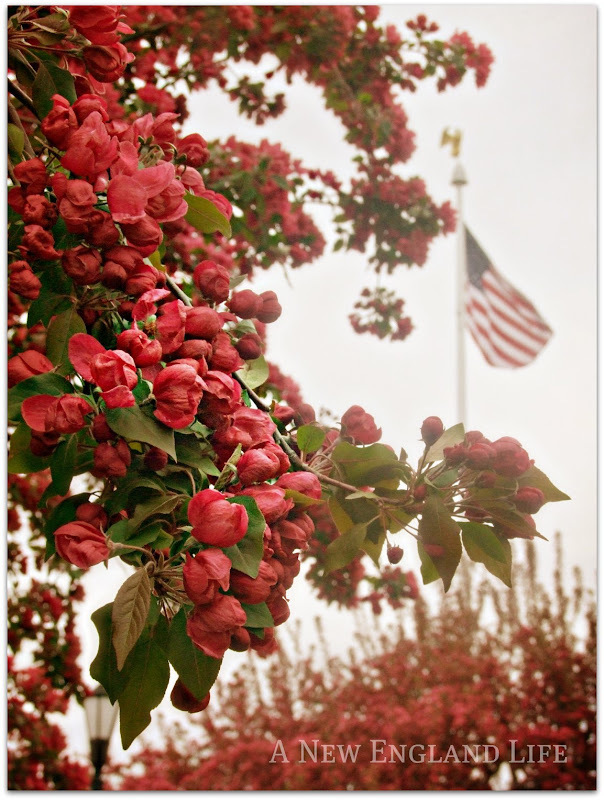 Sharon, these are breathtaking ....the 2nd shot with the flag and blossoms .... leaves me speechless!